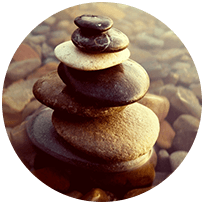 We're a Denver acupuncture clinic known for our skilled acupuncturists and practitioners, warm atmosphere, and effective and compassionate care. Our goal is to make sure you are relaxed and comfortable throughout your visit. If you have questions or are unsure if acupuncture is right for you, consider a free consultation. Either by phone or in person – it allows us to learn more about your symptoms to assess whether acupuncture is likely to be an effective treatment for you. There is a plethora of modern acupuncture research that proves the effectiveness, safety, and benefits of acupuncture. See these resources about acupuncture, or learn more about the acupuncturists Denver trusts. Acupuncture is proven to be one of the safest therapies available, used by millions of people all over the world for centuries with virtually no side-effects. We use sterile, single-use, disposable needles. As one of the oldest and most widely used forms of medicine, it has stood the test of time. Study after study has shown it to be effective for a wide range of health conditions. 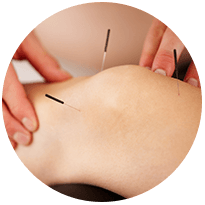 The Cleveland Clinic, MDAnderson, Mayo Clinic, and other major institutions now incorporate acupuncture. Acupuncture harnesses and amplifies the most powerful healing tool - YOU. Its power is awakening and guiding your body’s healing resources. Because it amplifies your body’s natural healing mechanisms, it can help in virtually any situation. Acupuncture is one of the most relaxing therapies you’ll ever experience. You’ll look forward to its rejuvenating effects and the zen-like relaxation. Alleviate acute and chronic pain without drugs or side-effects! We help our patients get out of pain by treating the root of the problem and offering natural therapies to allow the body to heal and restore optimal function. A natural treatment for gynecological conditions, PMS, infertility, hormonal imbalance, pregnancy complaints, and more! Optimize your chances of conceiving and having your healthy baby. Dramatically increase your chances of IVF success. Feel like yourself again with a drug-free solution to your anxiety, depression, stress or cognitive decline! Acupuncture regulates the body’s chemical balance naturally. Studies have shown it produces quicker and more effective results than medications. 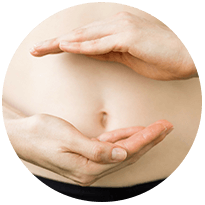 Resolve your gut issues naturally. Find relief from gas and bloating. IBS and inflammatory bowel disease. Focusing on this area can also help with weight loss, your immune system, and beating fatigue. We love to say that all health starts in the gut. Why do so many people in Denver trust us for acupuncture? We pride ourselves on our level of professional care, quality service, and peaceful clinic. No flaky hippies here, we are on our game and deliver our best. We are organized, efficient, and responsive - no extra stress here! We take as much time as is needed to talk with you and get a solid understanding of your history, symptoms, and unique situation. We take time to answer your questions and concerns. And we think it’s very important to spend time working with you on diet and lifestyle choices that will help you get results. Denver’s top fertility doctors and reproductive endocrinologists refer their patients to us for a reason. We take great care of you - AND we help you get great results. We are exceptionally caring, knowledgeable, and approachable healthcare providers. We care about you and are here for you. Our mission is to make your life better. I can't say enough good things about The Point or recommend them more highly. The office is cozy and peaceful and from the moment you walk in you feel taken care of. The practitioners are knowledgable and caring. I've referred so many family and friends there, and everyone loves it and finds the acupuncture beneficial. I think acupuncture is one of the best treatments a person can do for their health. After trying for a long time we are so glad we came to The Point for help. Thank you for helping us get pregnant, addressing my fertility issues with confidence and ease, placing my fears to rest, and making my pregnancy a smooth experience. Most of all, thank you for your help in making this wonderful blessing possible! Many thanks. I suffered from back pain and sciatica pain down my leg. It was hard to sleep and to do the activities I love, like biking. Acupuncture has helped so much. The sciatic pain is completely gone, the back only bothers me occasionally, when acupuncture again relieves it. And I'm back to biking. I started getting acupuncture to treat my acid reflux. After two months, my reflux is completely under control. I'm a believer! Everything about Katherine and The Point is amazing! I am beyond thrilled to have found her and learn so much with every visit and leave feeling like a new person. She is incredible. Katherine is an amazing, caring and passionate practitioner! She got right to The Point - and helped my with my pain. I have now had three appointments at The Point and feel that significant progress has been made.